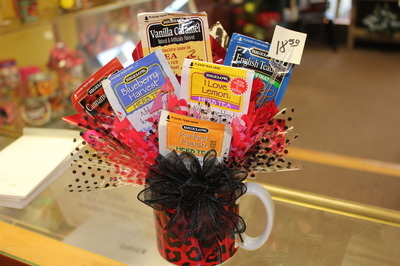 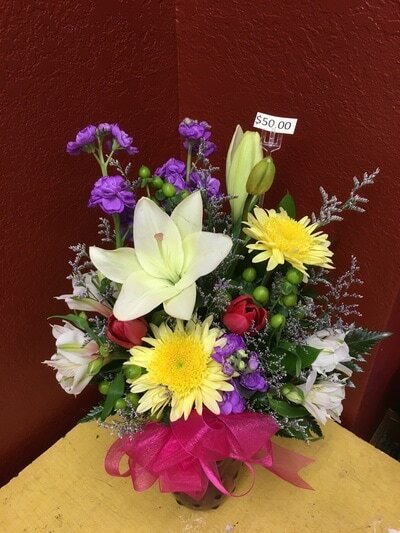 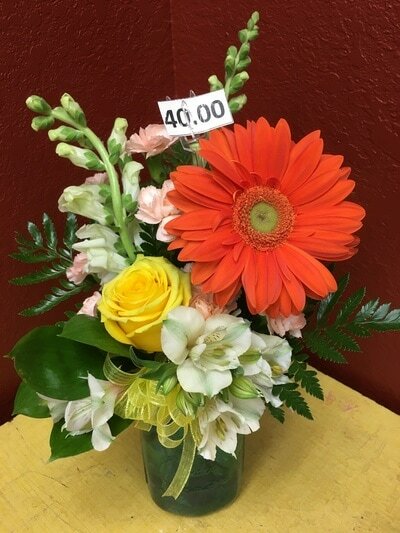 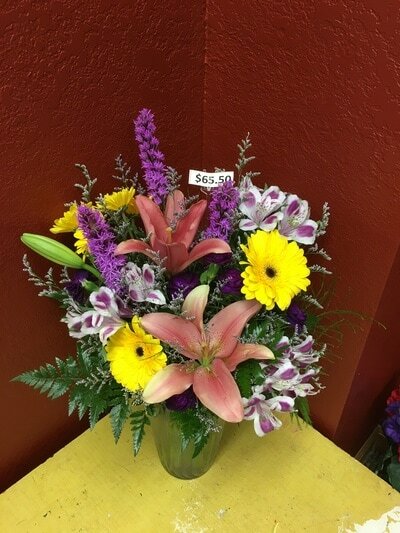 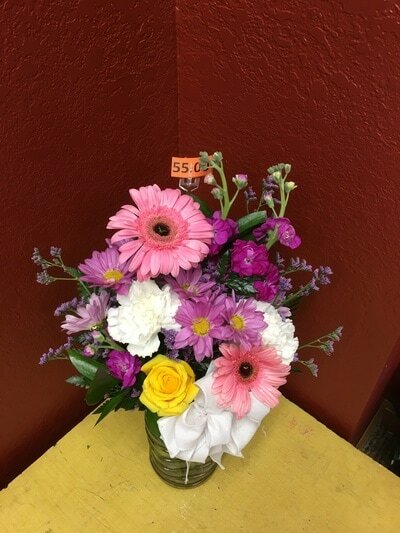 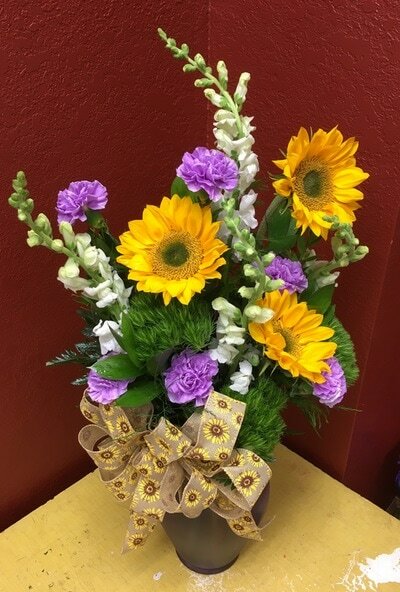 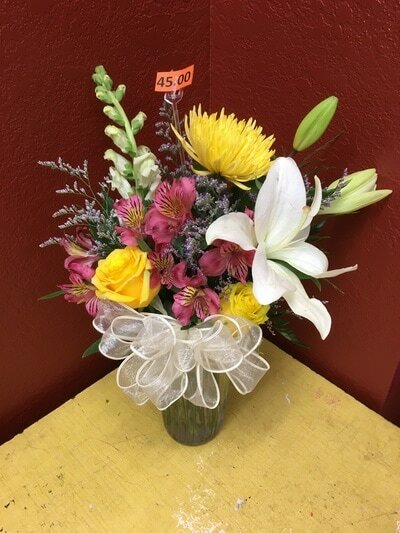 We also have Blooming Plants, Candles, Home Decor or a nice Gift Basket available. 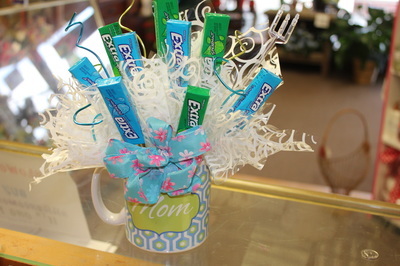 Let us help you make Mom's Day extra special! 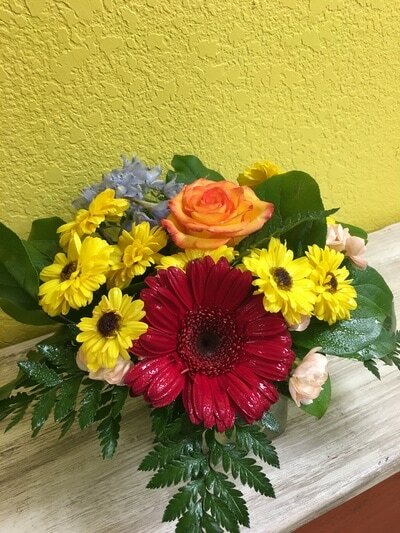 Lovely garden mix of a Rose & Gerbera with Snapdragon (or similar flower) and Alstramaria that comes in a nice vase dressed with a bow.